Telecom Italia Mobile (TIM), is the leading telecom service provider in Italy in terms of revenue and number of subscribers. Founded in 1994, through a merger of several state-owned companies, it is one of Telecom Italia subsidiary specialized in a variety of services such as, telephone, mobile and DSL data services. In Italy, TIM is covering 80% of households reached with their fixed ultrabroadband network and over 98% of the population covered by LTE and weigh 9.5 billions euros in revenues in 2018. The challenge for eXo was to help TIM modernize their enterprise cloud services portfolio by offering its SMB clients a complete and easy-to-use team collaboration solution. 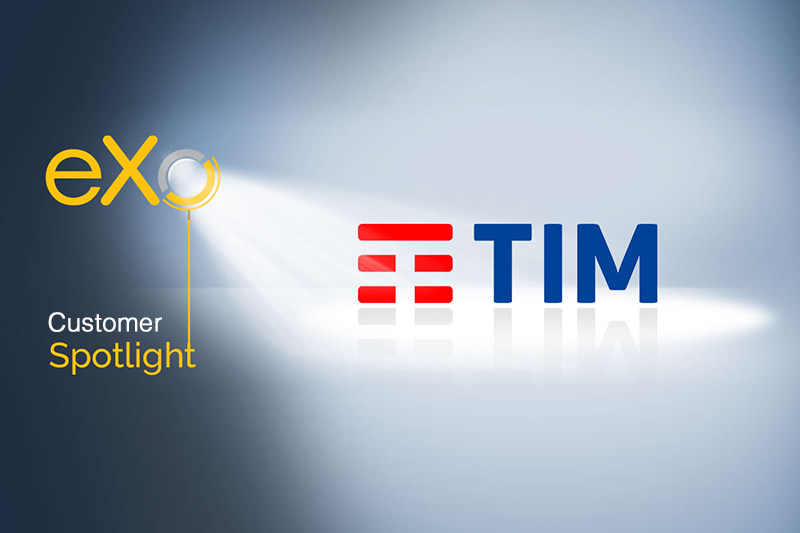 In fact, driven by the new Smart Working initiative promoted by the Italian government, TIM wanted to offer its own white-labeled solution powered by a proven digital workplace software provider: eXo Platform. TIM favored eXo because it offers a complete enterprise-ready platform that is highly flexible and extensible. The solution offers various features, covering the main employee engagement and digital collaboration use cases today. In addition to this rich set of features, TIM chose eXo Platform for its flexibility and extensibility. TIM was able to adapt and customize the platform to meet its own unique vision and to integrate with several cloud applications. TIM is planning the first deployments to its enterprise end-customers for the fall of 2018. Its goal is to reach 50,000 end-users by the end of the first year of the product’s rollout. The company aims to modernize their cloud offering to help SMBs with their digital transformation.